Details This early 1980s double-bill comes from a time when you were guaranteed two films for your money at the British cinema. 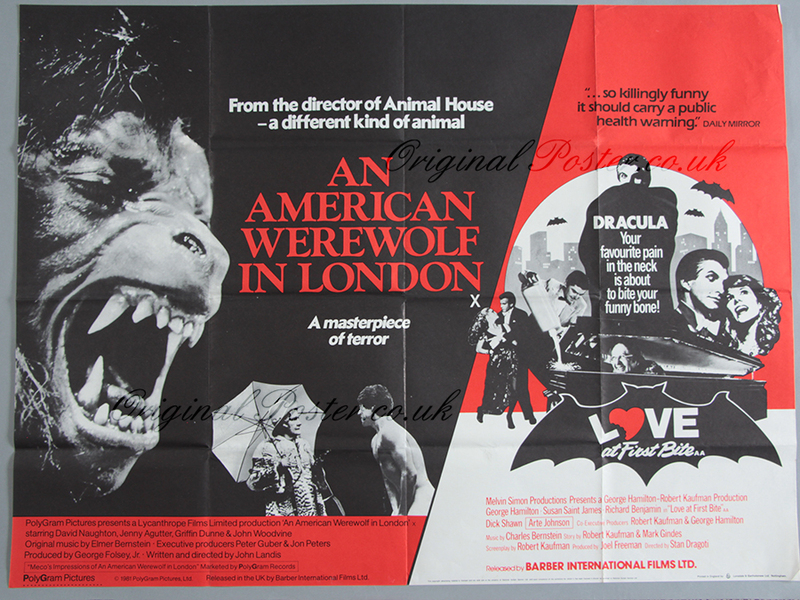 This pairing works really well as we have the 1979 "An American Werewolf in London" plus Dracula in the amusing "Love at First Bite". Try finding a Werewolf film with a vampire film at the cinema these days!